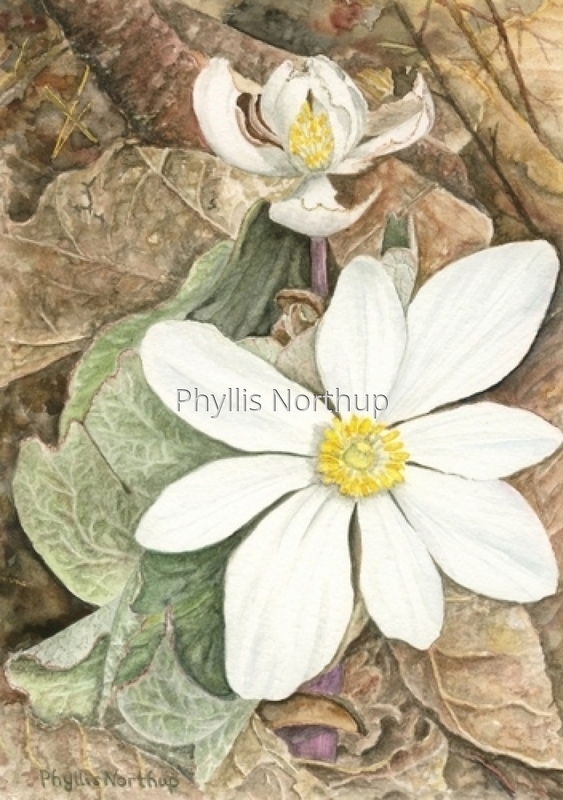 Bloodroot is one of the first wildflowers to bloom in the early spring. They poke up through the thick layer of dead leaves and winter debris to unfold their exquisite blossoms and lovely green leaf to reassure us that spring is truly unfolding before us! This giclee print of an original watercolor is one of a series of paintings depicting the seasons. Single Mat ready for a standard 8x10 frame. Original framed to 12 x 14, and sold.